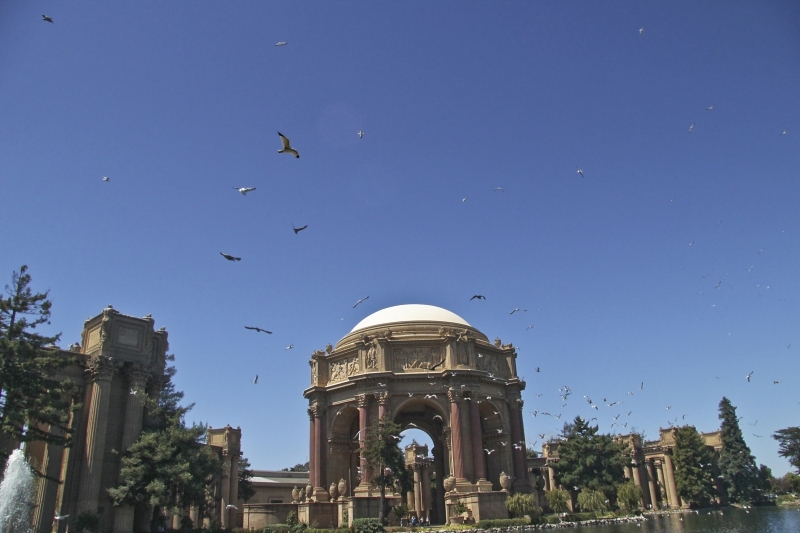 I took this shot of the Palace of Fine Arts in San Francisco while waiting for a performance in its theatre. Suddenly a flock of gulls rushed up into the air, and I just had to capture the scene. Canon EOS Rebel T3i, f8.0, 1/3200 sec.